Maize, third most important staple cereal crop across the globe, has been threatened with different environmental constraints including heat and water deficit stress. Higher environmental temperatures negatively affect the most at anthesis, silking and grain filling reproductive phenophases. The situation is further complicated by the variable climatic events, resulting in gradual and sometimes sudden increase in environmental temperature followed by irregular rain frequency and intensity, and thus posing a serious threat to global food security. To meet the ever increasing food demand there is an urgent need to develop climate resilient maize varieties and the goal can be achieved by exploiting the pertinent physiological, biochemical and molecular mechanisms. By introducing certain modifications, together these mechanisms can help us to combat the negative impact of high temperature stress. 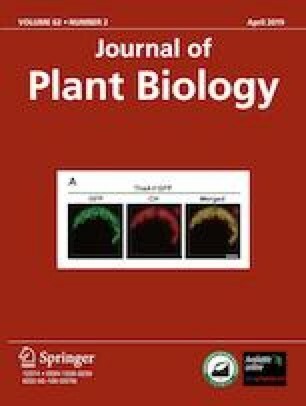 This review encompasses many of such physiological and molecular approaches which may help in mitigating the adverse effects of heat stress on maize yield. Molecular, biochemical and physiological knowledge available in domain that may be employed in breeding approaches to develop heat tolerant maize genotypes, has thoroughly been discussed.